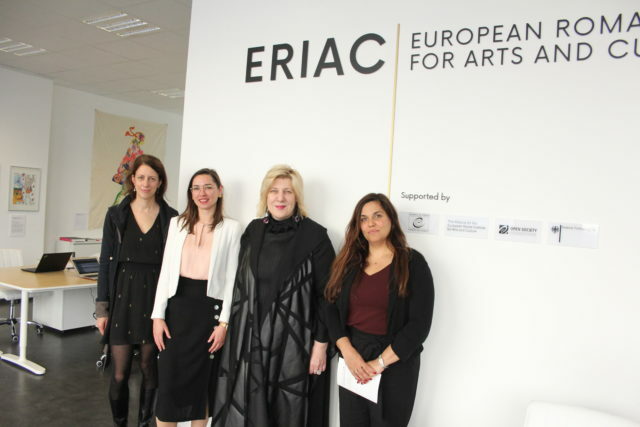 On 17 April 2018, newly appointed Council of Europe Commissioner for Human Rights, Ms. Dunja Mijatović, visited the ERIAC Office and Art Space in Berlin. Mijatović, a national of Bosnia and Herzegovina, was elected last January by the Parliamentary Assembly of the Council of Europe, and took up office on 01 April 2018. 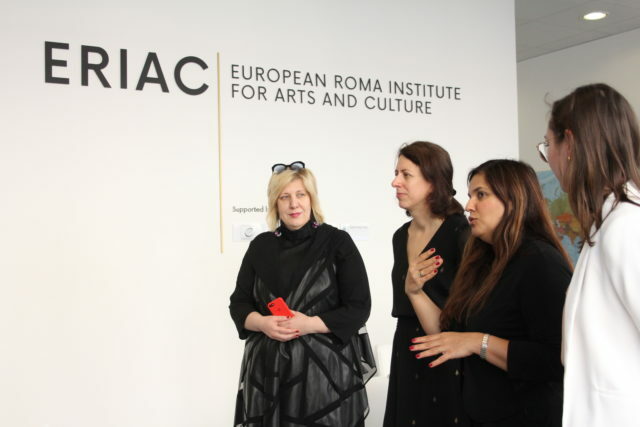 The meeting was hosted by Timea Junghaus, the Executive Director of ERIAC, and Anna Mirga-Kruszelnicka, the Deputy Director. ERIAC presented the Commissioner with the timeline of ERIAC’s establishment and discussed ERIAC’s activities during its first months of existence, including the International Cultural Outreach Program and the recent exhibitions and events. 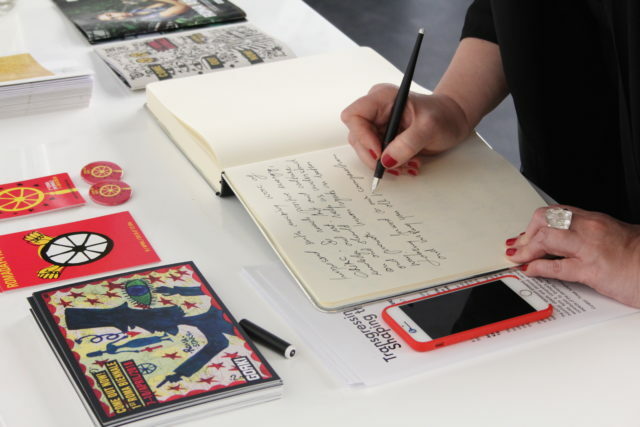 Commissioner Mijatović visited the exhibition “Transgressing the Past, Shaping the Future” and inquired about contemporary Roma arts and culture scene. She expressed her support for the work developed by the Institute and acknowledged that recognition and promotion of Roma culture is a very important step in fighting antigypsyism.